For over 25 years, Ann Harrison’s passion for Ayurveda and Yoga stems from her commitment to the Vedas and to the pursuit of a balanced lifestyle embracing Yoga, Meditation, Holistic therapy and natural foods. Ann learned the art of Ayurvedic cooking from Usha Lad and for several years served as the head cook for the monks of Kriya yoga meditation workshops throughout the southwest. Ann is an active practitioner of Kriya yoga and has trained intensively in Iyengar Yoga with many masters, including Ramanand Patel, Patricia Walden, and Rodney Yee. Originally from New York City, Ann moved to Miami back in 1982 where she was introduced to Siddha Yoga. She continued her study of yoga and began teaching at the meditation center in Miami. Ann graduated from Educating Hands in 1985 and received her license in Massage Therapy. She continued her studies in various types of massage for several years while establishing her private practice. 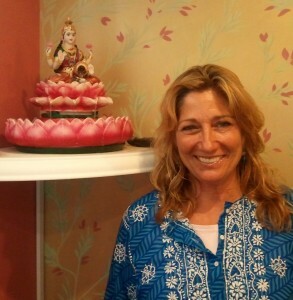 In 1994 she moved to New Mexico to study Ayurveda where she received her certification in Ayurveda from Dr. Vasant Lad. Ann was then offered a staff position at the Ayurvedic Institute and soon after she became the assistant to the director of the Pancha Karma department. She continued her studies with Dr. Lad for several years, and was appointed director of the Yoga department, responsible for developing the Ayur-Yoga program for the institute. Ann is bringing her rich Ayurvedic background to Hollywood, FL and is now working with JothiVita as the Director of Panchakarma Massage and Yoga.